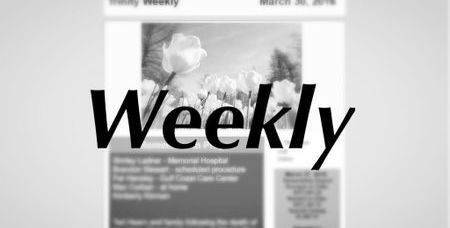 Join the weekly church e-mail, the Trinity Weekly, to stay up-to-date on what is going on at Trinity United Methodist Church, Gulfport! This is the best way to find out new and upcoming events as well as changes in the schedule. To join the Trinity Weekly, please fill out the form below.